Its not my work, but someone elses. I cant even remember where i found it. Was on some obscure site i think. How about adding Faleolo NSFA to that list Lawrie? Nothing around at all for it. Are you requesting that i build an NSFA scenery ???? Last edited by Snowman on Tue Jul 19, 2011 10:29 pm, edited 1 time in total. Yes. I think it deserves the Snowman touch. Preferably for FS9 but FSX would do as I am in the throes of deciding whether to migrate or not. If you are unsure in which order to construct your next masterpieces might I suggest a poll? Ha hahhh,......... i dunno if "masterpeice" is the right word to describe my work,....... i usually reserve that word for Rob's RealNZ work. 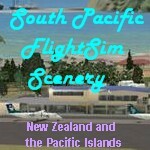 Im up to my eyeballs with NZNS Nelson, NZPM Palmerston North, NZWO Wairoa and NCRG Rarotonga Intl for FSX at the moment. HOWEVER,.......... if you can supply me with decent pics and charts etc of NSFA Faleolo, i will have a go at it,..... probably for FSX first though. Im also considering NFFN Nadi Intl. and NFNA Nausori Intl. in Fiji for FSX. Last edited by Snowman on Wed Jul 20, 2011 3:37 pm, edited 1 time in total. Fiji would be great, the default fiji airports are awful! It is an improvement over the bare bones default. Currently under construction, a full scenery for NSFA Faleolo International Airport, Apia, Samoa. Scenery will include a bonus of NSFI Fagali Airport as well. NCRG Rarotonga International Airport, Cook Islands. NZWO Wairoa Airport, New Zealand. NZDN Dunedin International Airport, New Zealand. NZPM Palmerston North International Airport, New Zealand. NZMA Matamata Airfield, New Zealand. NZWV Waihi Beach Airfield, New Zealand. NZUN Pauanui Beach Airfield, New Zealand. 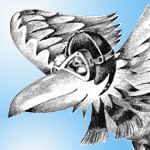 Hi Lawrie, awsome work you are doing buddy, is there any chance you could do West Melton Airfeild here in CHCH as its very popular with light aircraft training, also i have done a few hrs real world circuits ther myself. West Melton Airfeild here in CHCH as its very popular with light aircraft training, also i have done a few hrs real world circuits ther myself. Cheers Brent , be a few little more areas to check out shortly , most highly recommended is Forest Field , have a large portion AGNed in CHCH district , but more thought to approach that now but , Wigram is to still stay ! Last edited by Ian Warren on Mon Sep 05, 2011 10:58 pm, edited 1 time in total. NIUE Hanan International Airport, Niue Island. NCAI Aitutaki Airport, Cook Islands. Last edited by Snowman on Fri Jan 06, 2012 9:42 am, edited 1 time in total. NZMK Motueka Airport, Tasman Bay, New Zealand. NZTB Tui Brewery and Helipad, Mangatainoka, New Zealand. Last edited by Snowman on Sat Jul 07, 2012 10:52 pm, edited 1 time in total. NZTO Tokoroa Aerodrome, New Zealand. NZRC Ryans Creek Airfield, Stewart Island. NZMK Motueka Aerodrome, New Zealand. NCRG Rarotonga Intl. Airport, Cook Islands. NIUE Hanan Intl. Airport, Niue Island. NZCG Centennial Park Airfield, Taupo, New Zealand. NZVL Mandeville Aerodrome, Southland, New Zealand. NZUN Pauanui Beach Airfield, Coromandel, New Zealand. NZOA Omarama Airfield, McKenzie Country, New Zealand. NFTF Fua'amotu Intl. Airport, Tonga. ANYN Nauru Intl. Airport, Nauru Island. Last edited by Snowman on Thu Aug 02, 2012 9:36 pm, edited 1 time in total. Last edited by wildmanfiveone on Sat Aug 04, 2012 9:28 pm, edited 1 time in total. Last edited by zkcav on Sat Aug 04, 2012 10:52 pm, edited 1 time in total. Back in the old day .. Clive Ryan was the first to produce a airport file and it happened to be from his home town Palmerston North , the first photo real and that got me started .